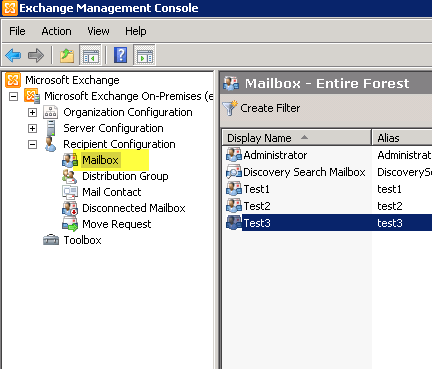 Answer: To view a user mailbox size in Exchange Server 2010 we can use either the EMC or Exchange Shell. 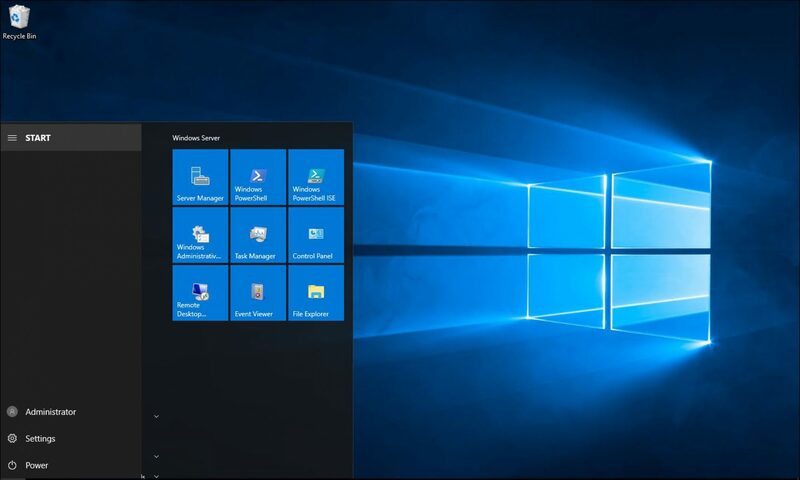 Double click on the user name. 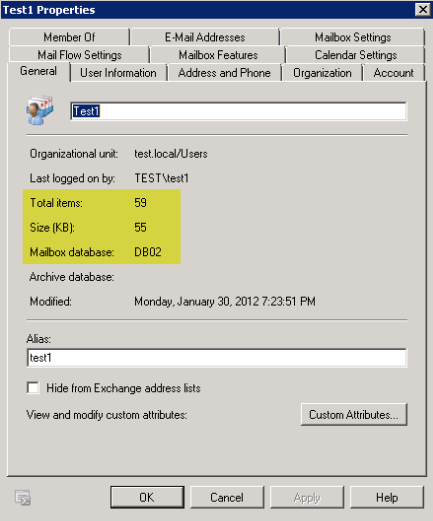 In the General tab you can see the User’s mailbox information including Size, number of items, mailbox database and more. The cmdlet below lists all the available options to view a user, database or server statistics. To get specific fields about the storage you can run this cmdlt.